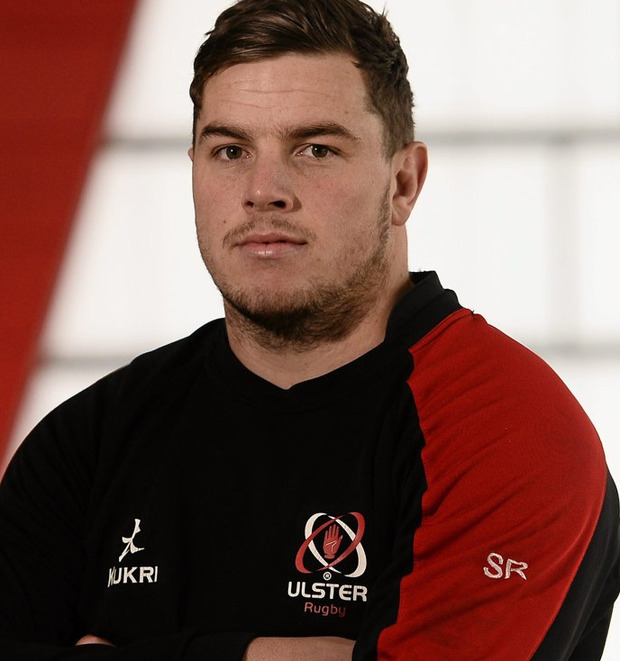 Never mind the likelihood of making his 100th Ulster appearance tomorrow against Dragons (3.0), there was a time it seemed unlikely Sean Reidy would ever make one at all. The native Kiwi, Irish-qualified through a Kerry-born grandfather, had appealed to the provinces for a trial when he was to be in Ireland in the summer of 2014. Ulster agreed to give him his shot but when he arrived, everything was not as it had seemed. "I originally came here on a pre-season trial (arranged) with David Humphreys but when I got here for my first day, he wasn't here any more and neither was the head coach (Mark Anscombe)," reflected the 29-year-old. "It was all up in the air, but Ulster gave me a chance with that pre-season trial and it all worked out." Despite coming from considerable stock - his uncle was an All Blacks prop - when he was announced as a low-key signing alongside All Ireland League player Charlie Butterworth, few will have expected much from the man whose experience to date had been in the ITM Cup. Yet he has become an integral part of the set-up, frequently nearing the top of the chart for minutes played and becoming an Irish international in the summer of 2016 with a debut against South Africa. Rather than get caught up in the occasion, Reidy is focused on securing a win that is vital if the side are to maintain their play-off push. Last week's win over Zebre lifted them into third place in Conference B and with the two sides either side of them in the table, Benetton and Edinburgh, taking on each other today, their trip to Rodney Parade provides a real chance to consolidate their position. Reidy will take his place in the back-row for the contest alongside Nick Timoney and Jordi Murphy, the latter returning to provincial duty after starting for Ireland against Italy in Rome last weekend. John Cooney is also a starter having been involved in the Stadio Olimpico. DRAGONS - J Williams; H Amos, A Warren, J Sage, D Howells; J Lewis, R Williams; B Harris, R Hibbard (capt), L Fairbrother; J Davies, M Screech; H Taylor, T Basham, H Keddie. Reps: R Lawrence, J Reynolds, L Brown, M Williams, L Greggains, T Knoyle, J Tovey, T Morgan. ULSTER - L Ludik; R Baloucoune, D Cave, S McCloskey, R Lyttle; B Burns, J Cooney; E O'Sullivan, R Herring, M Moore; A O'Connor (capt), K Treadwell; S Reidy, J Murphy, N Timoney. Reps: A Warwick, J Andrew, W Herbst, I Nagle, M Rea, D Shanahan, J Hume, P Nelson.